For an interactive map of public telescopes, visit http://telescopes.stardate.org/guide/public.php. Shows offered Tuesday and Friday nights. Viewings still available with planetarium presentations. This program offers views through a 20-inch and two 16-inch reflecting telescopes, and includes an introductory presentation and a light dinner. Visitors also have binoculars to use while not looking through the telescopes. $48 adults, $44 seniors 62 and over, students, and current military (with ID). Group rates available. Every night of the year except July 15-September 1. Provided transportation departs at 4 pm. This program offers views through a 36-inch research telescope. The program includes transportation to the site from the University of Arizona campus in Tucson, dinner, and an introductory presentation. Viewing through a 16-inch telescope offered. Stargazing through telescopes provided by amateur astronomers, plus lessons on how to navigate the night sky. Stargazing is available through a single telescope every Friday night that the planetarium is open. Several telescopes available, provided by Los Angeles Astronomical Society and the Los Angeles Sidewalk Astronomers. Nightime and daytime viewing through several telescopes, including a new 36-inch reflector. The largest telescope in the world when it was dedicated in 1908, this century-old instrument is now dedicated to public viewing for groups of 1-25. A session director and telescope operator are included as part of the fee. Tours of the observatory, including the historic 200-inch Hale telescope, followed by nightime gazing through several smaller telescopes. After talks by two research astronomers and a presentation on the history of Lick Observatory, visitors look through the 36-inch Great Lick Refractor and the 40-inch Nickel Telescope. Concert and a talk by a research astronomer is followed by viewing through the 36-inch Great Lick Refractor and, conditions permitting, the 40-inch Nickel Telescope. Viewing through an 18-inch telescope, on the grounds of Berthoud High School. Viewing through 16-inch, 18-inch, and smaller telescopes. Programs include talks, tours of the historic observatory, and viewing through the 20-inch Alvan Clark refractor, installed in 1894. Viewing through a 20-inch reflector at the University's campus observatory. Programs offered every Wednesday and Saturday from 1 - 3 pm through a 16-inch telescope, which monitors the sun and the phases of Venus. Viewing through a 24-inch Ritchey-Cretien telescope. Free admission, although there is a charge for the planetarium and IMAX movies. Public viewing through the Broward Community College Observatory. 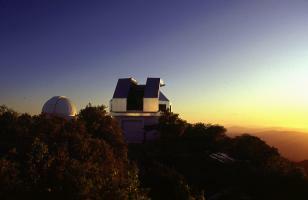 Viewing through two Meade telescopes is offered. Viewing through a 10-inch telescope offered. Three Fridays a month during the summer. Viewing is offered through several telescopes before the planetarium show. Public viewing through a 36-inch reflector. Star parties offer views through a 16-inch telescope and other instruments at several parks in the Columbus area. Free admission, although the parks may require a parking fee. Several telescopes are avaliable for viewing. Viewing through a Cassegrain telescope offered. 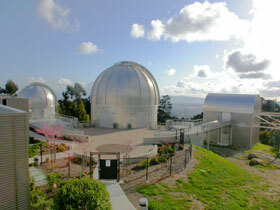 Telescope viewing is avaliable after Planetarium show. $6 adults, $4 ages 4-12; cash only. The visitor center for the telescopes at Hawaii's Mauna Kea, including the giant twin Keck Telescopes, offers views through small telescopes until 10 p.m. the program includes a documentary on the mountain's cultural and research heritage. Idaho's largest public observatory offers viewing through several telescopes. Viewing through a 24-inch telescoped offered. Telescope viewings and stargazing, accompanied by American Indian stories. Telescope viewing is avaliable after a planetarium show. Open March - October 7 days a week, 5 days/week in November, 4 days/week in December. Viewings through four telescopes and one Hydrogen-Alpha refractor. Public viewing through several telescopes. Telescope viewing and star parties for private parties, offering viewing through six telescopes of up to six inches. Viewing through an 8-inch refractor built Alvan Clark & Sons offered. Star parties offer views through a 14-inch telescope. Fridays from early March to late September, 8:30-10 p.m.
Public viewing through an 11-inch reflector atop the museum's parking garage. One or two Fridays per month Public viewing is offered through a 16-inch reflector and several smaller instruments at this facility on the University of Michigan campus. Open houses are also held in conjunction with special public lectures and planetarium shows. 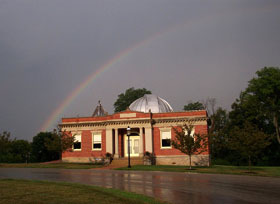 Shows offered Friday evenings, 8:30-10 p.m.
Public viewing is offered through a 6-inch refractor in the Institute's public observatory. Hosted by a local astronomy group, this University of Michigan facility offers viewing through a 24-inch telescope, plus those set up by the astronomy club. Public Observation Nights offer views through a 24-inch telescope, with additional, smaller telescopes avaliable. At Gallatin Regional Park, hosted by Southwest Montana Astronomical Society. Two informal talks are followed by public viewing through 24-inch and 10-inch reflectors. Friday and Saturday evenings in April and October; Tuesday, Friday, and Saturday evenings May through September. The programs begin with staff presentations on archaeoastronomy and cultural history, followed by telescope viewing. Viewing through several telescopes — amateur and professional — offered. Public viewing through several telescopes after the Center's 8 p.m. planetarium show. 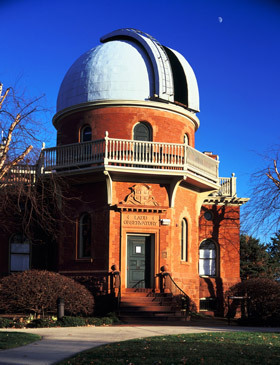 The oldest professional observatory in the United States offers views through two historic telescopes on its astronomy nights, including a 16-inch refractor built by Alvan Clark and Sons and an 11-inch refractor that was built in 1842. Tickets include a tour of the Observatory and an astronomy lecture. Thursday shows, suggested donation of $4 per person, Friday shows are $6 for adults, $4 for children. Not available first Thursday and Friday of each month, reservations required for all programs. Star parties include viewing through the 32-inch Schottland Telescope, which is the Observatory's primary research and teaching telescope, and smaller instruments. Other features include lectures and Observatory tours. Viewing through two 10-inch and one 6-inch telescope. Viewing through a 16-inch and two 10-inch telescopes offered. One Saturday per month, see website for dates. An astronomy lecture and planetarium show are followed by skywatching through the society's telescopes. 10-inch telescope viewing avaliable after planetarium show. 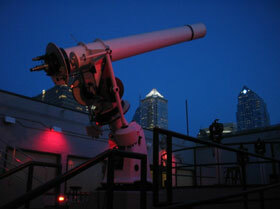 The Philadelphia skyline stands behind one of the Franklin Institute telescopes. Viewing through five different telescopes offered. Viewing through the club's telescopes offered and star charts avaliable. 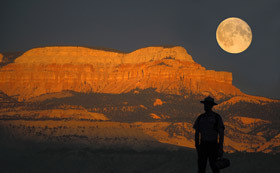 Star Parties offer views through several telescopes, and visitors are welcome to bring their own. Viewing through a 16-inch telescope atop RLM Hall on Wednesday nights, and through a 1930s-vintage 9-inch telescope atop Painter Hall on Friday and Saturday nights. Free admission; $3 parking in University garages after 6 p.m.
Public viewing is offered through 16-inch and 12.5-inch reflectors at this site, which is operated by the Austin Astronomical Society in conjunction with the Canyon of the Eagles Lodge and Nature Reserve in the Texas Hill Country. Public viewing through 36-inch, 18-inch, and 14-inch reflecting telescopes operated by the Houston Museum of Natural History on the grounds of Brazos Bend State Park. In addition to naked-eye tours of the night sky, the star parties offer views through a 22-inch telescope, a 16-inch telescope, and several smaller instruments. $12 adults, $8 children 6-12, $40 family (five or more). $60 per person for 107" viewing. Also available as part of a combination ticket that includes daytime Observatory tours. 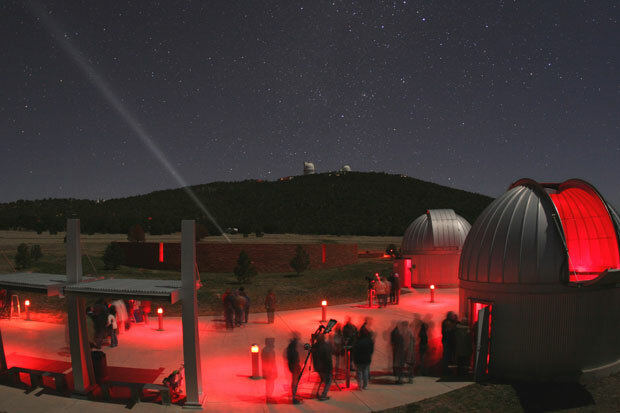 McDonald Observatory offers views through the 107-inch Harlan J. Smith and 82-inch Otto Struve telescopes one or more nights per month. Programs include dinner and a presentation by a research astronomer. The Observatory also offers viewing through the 36-inch research telescope, but this program does not include the presentation are dinner. Reservations are generally required several months in advance. Not suitable for children under 10. Star Parties offer viewings through several telescopes and interaction with Fort Worth Astronomical Society members. Telescope viewing and multimedia presentations. Other astronomy programs include solar viewing three times per week and an annual star party. Established in 1885, the Observatory offers views through a 26-inch refractor built by Alvan Clark and Sons and a modern 10-inch reflector. The program includes a tour of the Observatory and audio-visual presentations. This University of Virginia observing station offers views through 40-inch and 31-inch reflectors. Advance tickets are required. 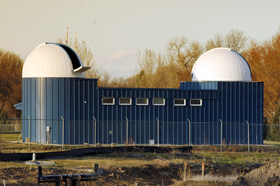 NRAO volunteers provide telescopes for celestial viewing. Viewing through several telescopes offered. Daily access offers viewing through four telescopes and two sun-spotting devices. 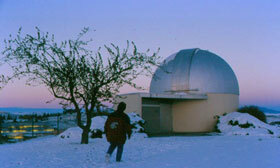 A winter evening at Washington State University's Jewett Observatory. Viewing through 12-inch Alvan Clark & Sons telescope. Every Wednesday during the summer. First and third Wednesdays of each month year-round. Observatory open for public viewing. Viewing through a 0.4-meter telescope offered.